This is a really fun game but when they put u up against a freaking two levels higher than u it is really annoying. 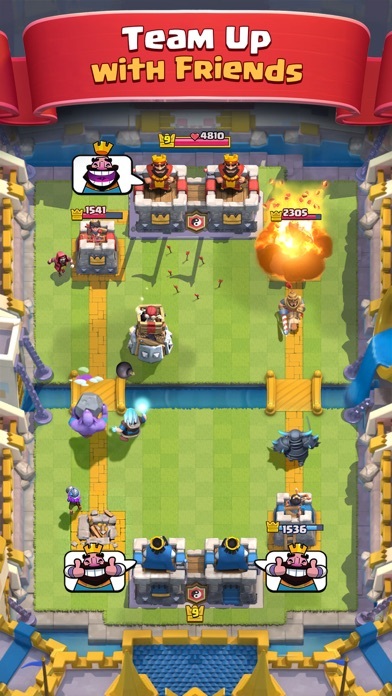 I am playing clash royal. And sooooo many people battle against me that were higher ranks but have MUCH better cards! It’s extremely unfair for me, a new person to the game, lose so much because you make them go down multiple ranks. There should be two seprate categories in that rank, people who actually earned themselves there or people who were at arena 10 and SUDDENLY dropped to the 1st one! It’s EXTREMELY unfair, and I am always losing. People have come into my arena with cards that are super super good and I can’t even defend myself. Very unfair, please fix it. Other than that the game itself is very fun to play, I just always lose cause of that reason. The cards are getting moved too much. The cards, why did they get moved so much? 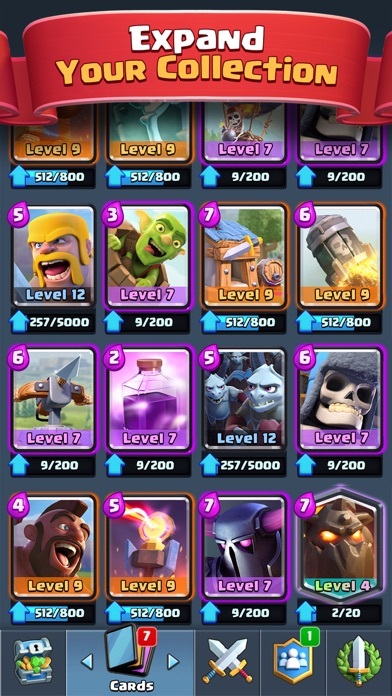 Once I got a new account I was ready to get my overpowered deck with the mirror and rage with a bunch of goblins, yet rage got moved from arena 3 to a very high arena, mirror got moved from spell valley to spooky town, please, move the cards back! 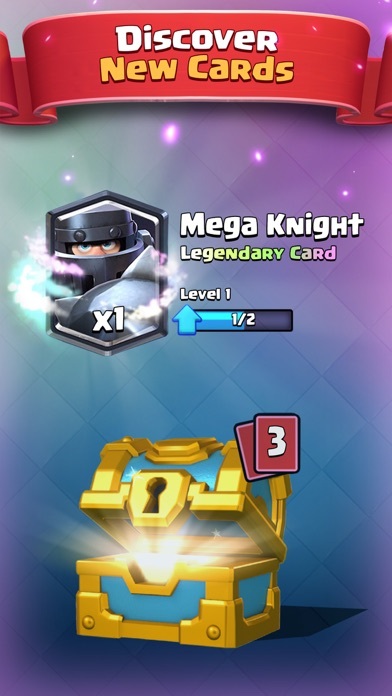 There are too many arenas now and it is harder to get the cards that I used to have. Also, I have the same game enter account on two different devices, yet my account isn’t liked, I would really like to see this fixed. I doesn’t make sense... y’all over there must really be championing for the balloon 🎈. It is what it is. Not a fan hate beating a dead horse but it seems off. I like this game so much because you can open your chest and fight and practice is good for new people and made me good This game is good. The second part of the dragon hunt event isn’t fun! Well at least for me here’s why I think so. 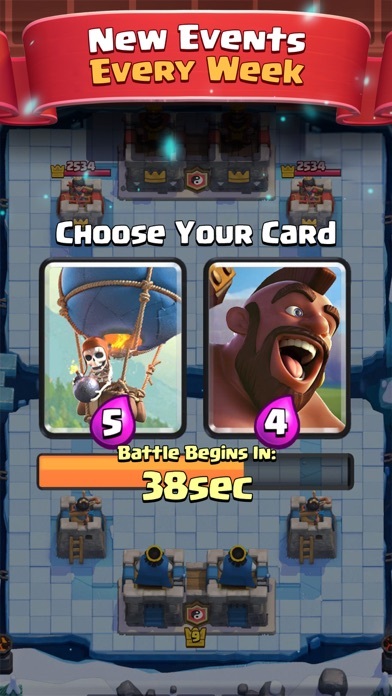 First of all the cards didn’t seem to be set to level 9 as far as I could tell meaning the players with higher level cards are more likely to win. 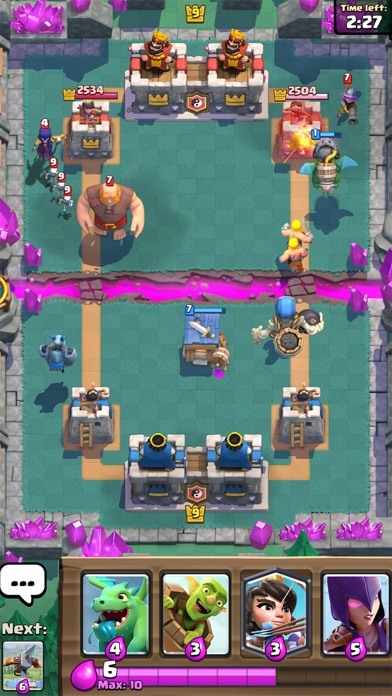 Second you can face opponents with higher trophies than you, and although they were the same level as me that meant nothing one was in frozenpeak, one in builders workshop, another in spooky town. Overall I was disappointed with the event I had been anticipating since it was announced, although it wasn’t easy it was way to hard and there needs to be a balance between them. I try to play it but nowadays it crashes all the time...I used to play it and it worked perfectly fine now it just randomly crashes between battles!!! Also the loading time is so slow when it’s entering a battle that they take even a crown on me because of it! I used to love this game until I had these issues I hope you fix this.